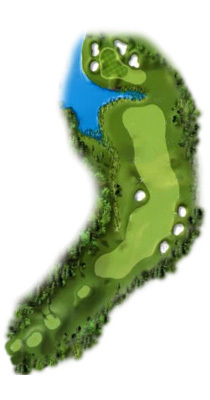 This is our signature hole. The tee shot is downhill and must be placed between the bunkers. As you dogleg left for the second and third shots, the beautiful lake comes into view. The shot to the green is closely guarded by water. Enjoy this beauty of a hole.